Meet, Greet, and have lunch with Padma Shri Dr.M.R.Rajagopal, Founder of Pallium India.He is known as Kerala’s medical messiah for the terminally ill. Meeting with Dr.Rajagopal and the other staffs in Pallium India was heart-touching. 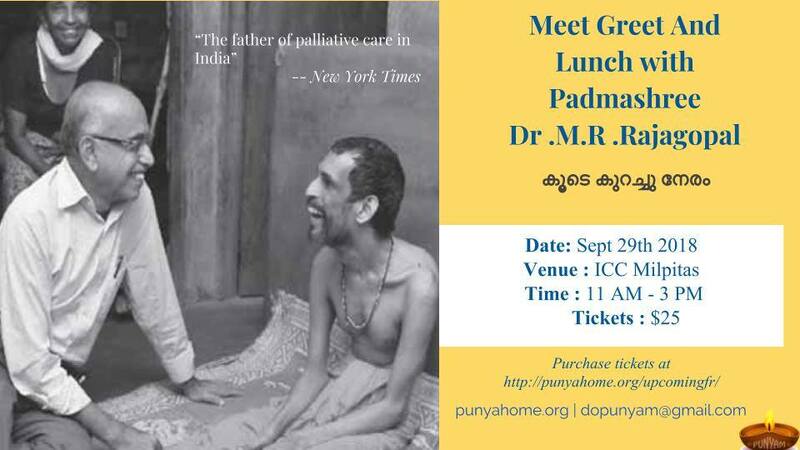 They are providing free palliative care in their center and free home visit care for the terminally ill. 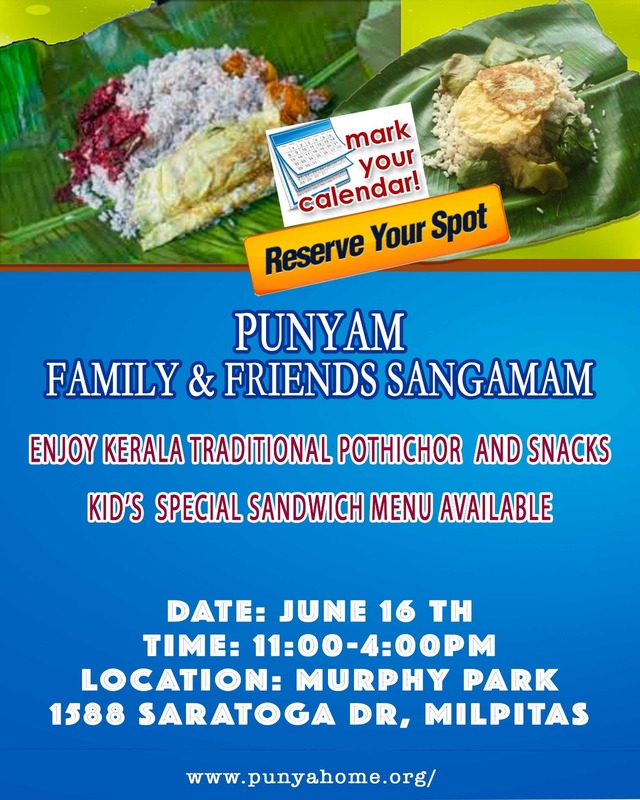 The Punyam ladies are going to cook authentic homely Kerala lunch. 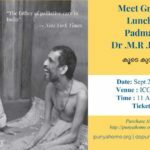 It is going to be a great opportunity and experience for all of you to meet with Padma Shri Dr.Rajagopal.Stay tuned for more details!. Donate for this cause and save your spot. 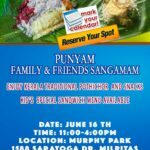 Punya kudumbha sangamam -a fun filled day with friends and family while sharing our authentic Kerala food and nostalgic games . Suggested donations below. 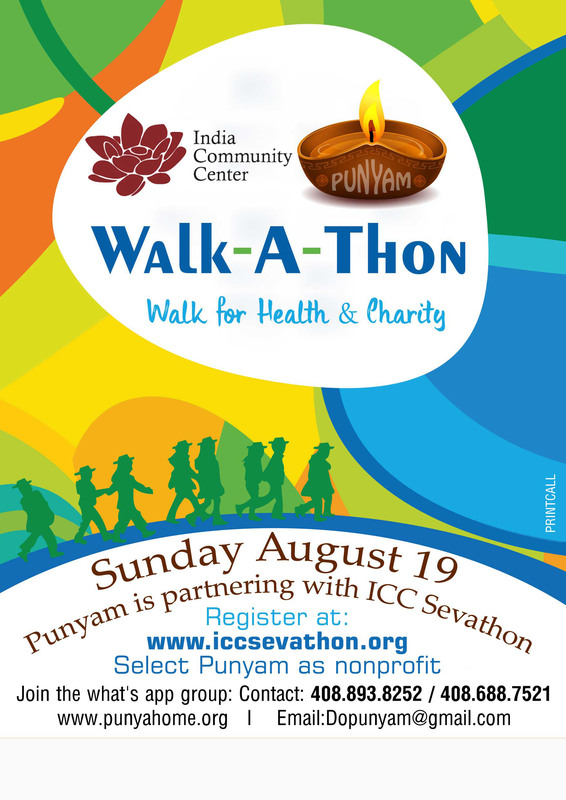 Your generous donations will go to Punyam charity projects. 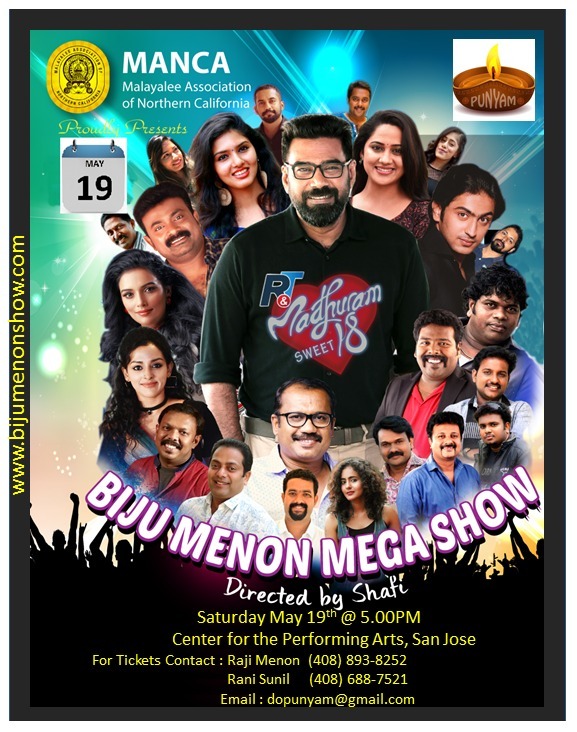 Punyam is proud to be a community partner with Malayalee Association of Northern California (MANCA) for the Biju Menon Mega Show. 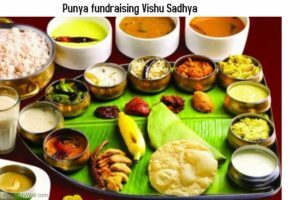 Part of the proceeds from the ticket sales via Punyam will go to Punya Vidhya Project [education help for less fortunate kids]. Where : Washington Park Bldg. Adults : $21.Kids (Ages 5-12) $11. Kids Age 5 below Free . On behalf of the Punyam Team – we sincerely thank you all very much for being part of Vishu Sadhya. It was an absolutely delightful experience to see people enjoying our homemade feast. 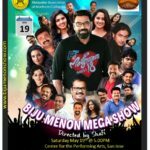 We want to express our sincere gratitude to Red Chilies Fine Malabar restaurant for providing all the utensils and Rice for 150 people for free.That was a big help for the Punyam team. 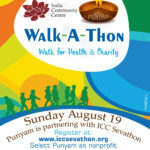 All the proceedings we raised through this event will go towards various Punyam Projects. It was not an easy task to make food for around 200 people, it made possible by our wonderful Punyam ladies.Ladies Shakti! We are so blessed to have a wonderful set of volunteers who helped us to run this event smoothly! 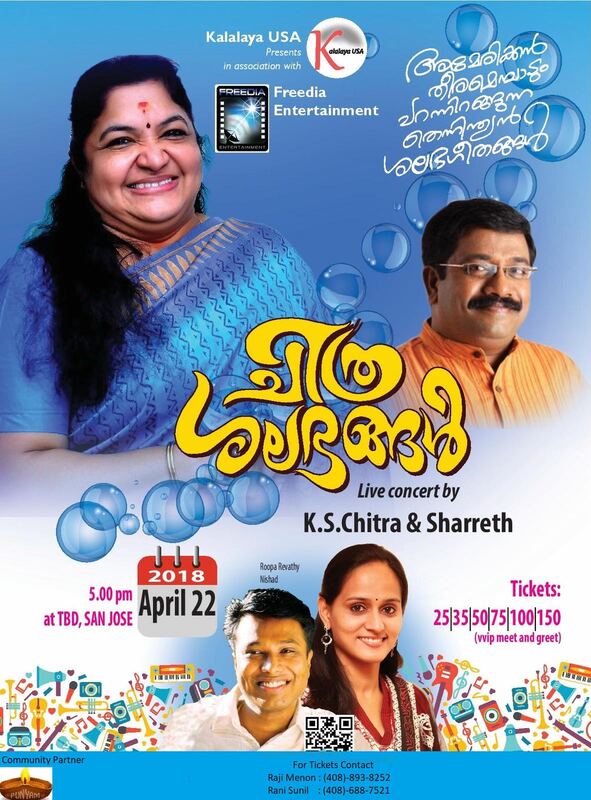 Punyam is proud to be a community partner with Kalalaya USA for the upcoming Live Concert by K.S. Chitra and Sharreth. 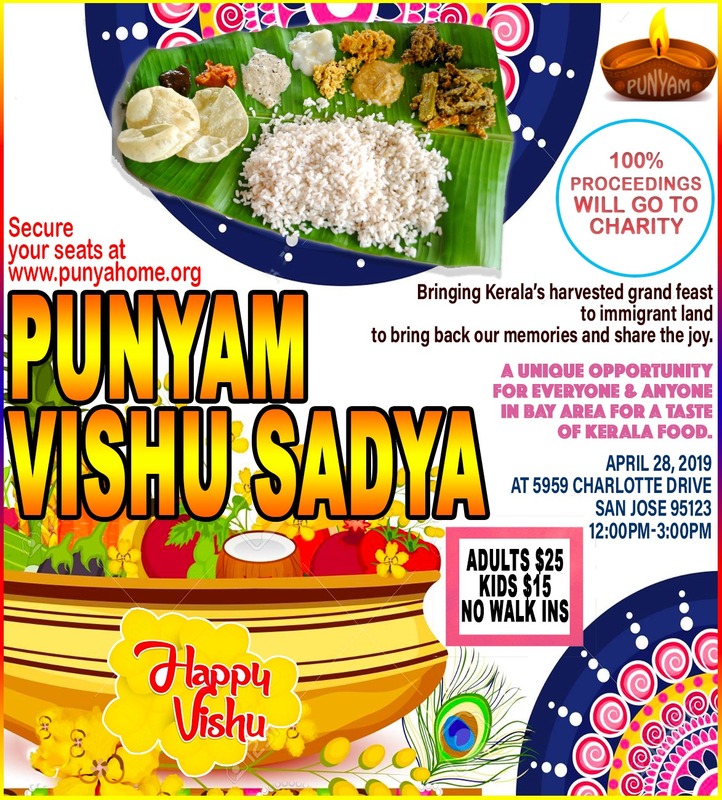 Thank you for supporting Punyam. Our sincere thanks from the entire Punyam team. The money we raised through the ticket sales is going to Maithry Cancer palliative home. We already gave a mobile shop to one less fortunate family. 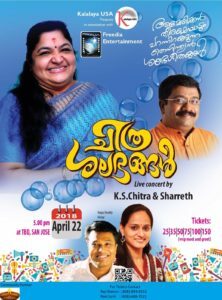 This made possible through the Chitra ticket sales.